The Washington area has a rich poetic tradition going back to Walt Whitman and Langston Hughes, including many literary journals, book publishers, movements, and reading series. 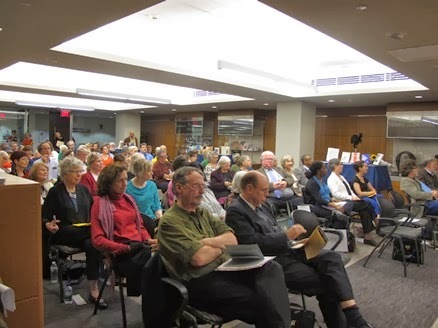 A public program this spring is part of A Splendid Wake, an ongoing online project to document poets and literary movements in the nation’s capital from 1900 to the present. The event, featuring three panels, will take place from 6:30 to 8 p.m. March 21 at George Washington University's Gelman Library, Suite 702, 2130 H Street N.W. The program is free and open to the public. The program will focus on experimental contemporary poetry, warrior poetry projects, and African-American intellectual/creative activity during years of segregation in Washington. Moderating the experimental poetry panel will be poet, writer and performer Silvana Straw. Panelists Magus Magnus, Poets Theatre and "non-mainstream poetics," Natalie Illum, activist, poet and storyteller, a producer of "Capturing Fire," and Derrick Weston Brown, Cave Canem Fellow and founder of "The Nine on the Ninth" reading series, will discuss language poetry, women's community, spoken word, and slam. A panel on veterans’ poetry will feature Frederick Foote, M.D., director of the Warrior Poetry Project at Walter Reed National Military Medical Center, Sunil Freeman, assistant director of The Writer’s Center, and Maritza Rivera, an Army veteran, poet, and participant in the Warrior Poetry Project. In the Shadow of the Capitol, with Jim Beall, astrophysicist, poet, and project administrator of the original oral history project, will provide a glimpse of the two-day event by that name, held in 1981 at the Folger Shakespeare Library. Transcripts of this conference serve as an invaluable treasury of eye-witness African American history. James Counts Early, director of Cultural Heritage Policy at the Smithsonian Institution, will speak about Sterling Brown. Gelman Librarian Jennifer King launched the digital archive for A Splendid Wake in 2013. The archive is evolving, and new material is being accepted. A blog managed by Karren Alenier also supplements the Splendid Wake archive. Time to Publish? 'Books Alive!' is Coming Soon! Guest blog entry from the organizers of the Books Alive! conference, set for March 29. Ready to catch a publisher's eye? Register by Feb. 28th for the Books Alive! 2014 early bird discount. 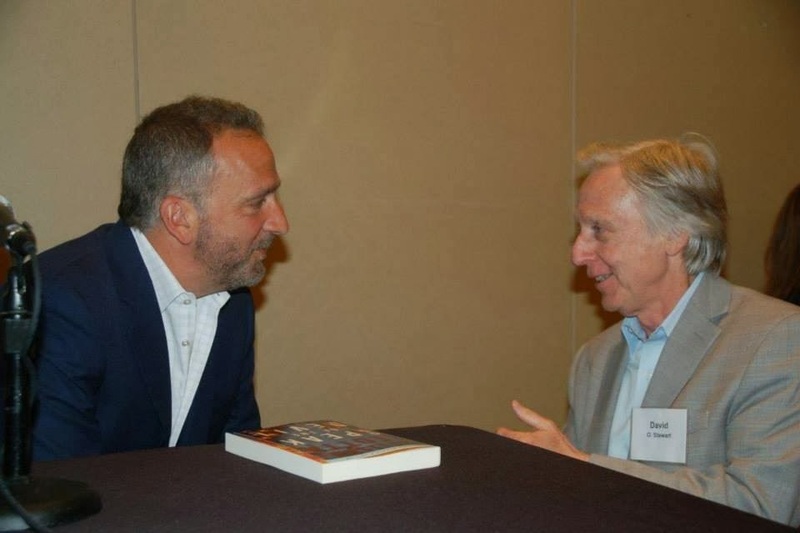 Hosted by the Washington Independent Review of Books, this year's conference is set for 9 a.m.- 5 p.m. March 29th at the Bethesda Marriott (Pooks Hill). Books Alive! has quickly grown into the D.C. area’s seminal conference for writers and book lovers of all types. Register before March 1st to take advantage of the early bird discount. Big-name writers will be participating in panel discussions on everything from mystery, fiction, and politics to self-help, cooking, and children’s books. This year, a roster of some of the industry's top agents will again be on hand to hear your book pitches. And some of today's biggest names in publishing will speak about their work and the state of the book industry. Learn more at www.wirobooks.com and the Books Alive! homepage. You can also stay connected with The Independent on Twitter via @wirobooks and on Facebook at https://www.facebook.com/WIRoBooks.